Guy Kawasaki is an entrepreneur, a great mastermind and a well-known businessman. He invented concepts like evangelism marketing and technology evangelism and played a major role in apple and Wikipedia and some other important names such as google. In this article we look at his life and his way of entrepreneurship to understand why he was a very important name in the world of business today. Guy Kawasaki born on 1954 in Hawaii. He had a nice childhood under his fireman father and mother. After childhood, he started his college times at Stanford University and got his bachelor degree in art. After that he decided to continue his studies in law but after sometime he realized that law is just not the right thing for him so he joined MBA and got his master degree in management. While he was studying in his MBA Course, Guy Kawasaki started working in a jewelry company and learned a valuable lesson there. He learned how to sell stuff in a very rough and hard business environment and then he used this experience in his days in computer science world. Guy Kawasaki joined apple on 1983. It was then when he created the concept called evangelism marketing. This type of marketing is an advanced form of word-of-mouth marketing. This method worked amazingly well for apple and became a huge part of their culture. He was one of the main reasons why Macintosh turned out to be a great hit. He worked on evangelism marketing and made this product a trustworthy and strong part of apple. In 1987 and after 4 amazing years at apple, he became leader of ACIUS. ACIUS was a sub branch of apple which was in charge of making apple database popular. But his days at ACIUS did not last long and he left them on1989. He worked so well that apple tried to get him back on 1995. But after his departure from apple he started his founder age. He co-founded Garage Technology Ventures and sometimes after that he founded a company called Truemors. After these glorious days, Guy Kawasaki joined google on 2013 but his journey did not end there. He joined Canva only a year after. This company was intent to make web designing a simple thing for non-designers. On 2015 he joined Wikipedia but stayed there only for one year and after that he decided to spend more time on writing. He wrote important books like Art of Social Media which was published back in 2014. Nut if you think he is new in writing then you should check his book titled Database 101 which was published back in 1991. 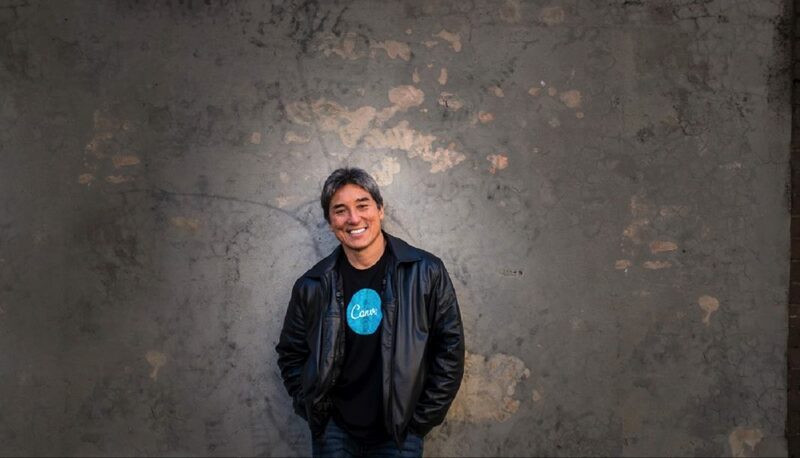 Guy Kawasaki is a great example of how you can combine different fields and make a successful journey in the wild business world we know today. He is a great role model that shows you if something is not right for you then start again in the right direction and don’t look back.